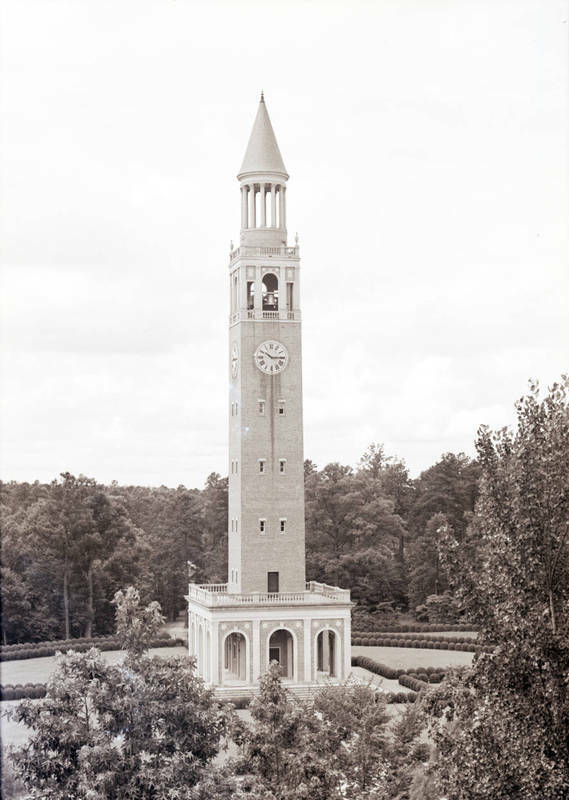 In 1931, the university built a bell tower and named it for its donors, John Motley Morehead, III, and Rufus Patterson, II. Designed by Kendall, it continued the tradition of using red brick and white trim. The tower is topped by a nine-foot clock face on each side and is surrounded below by a hedge and lawn. The tower’s belfry originally contained a carillon of twelve manually operated bells, which are now mechanized. Inside the arcade at the tower's base are plaques honoring the donors’ families.